Photographing the special things in life. Funky Forecast on the 4th! The 4th of July is an awesome holiday to be a toddler. Mom gets to dress you up in a fun outfit with a matching hair bow, dad gets to make fun of mom and you get to be outside all day! Last year, we didn’t get to do much of this because #theadventuresofsj was under one and dad was out of town. I had BIG plans for this year! The activity list was the length of my arm and with many options depending on nap time. And then we woke up to a rainy, dreary North Carolina morning. Did that stop us from having an awesome 4th of July, ABSOLUTELY NOT! As I have said many times before, I come up with crazy plans and my husband shakes his head and goes along with them. He was laughing as #theadventuresofsj and I got ourselves dressed to head outside at the early hour of 8:00 am. We were pumped! Painting, chalk and baby pool, who could ask for a better morning?! 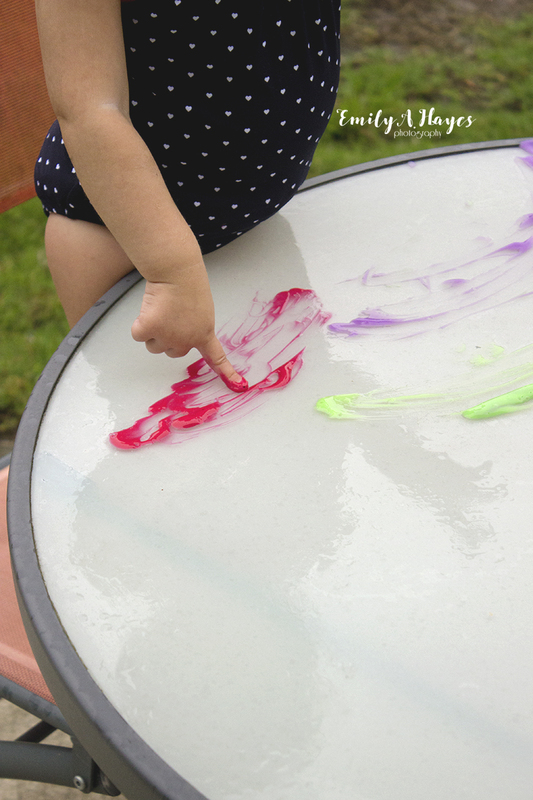 A while back, I had found Crayola Bathtub Fingerpaint Soap in the dollar bin at Target (what mom doesn’t like the Target dollar bin?!) and knew that they would come in handy one day. Well that day was the 4th! #theadventuresofsj made fireworks, blobs, suds and bubbles as well as worked on her colors with these fun paints. Highly recommend buying up as many as possible when they come back (hint hint Target)! Sidewalk chalk was our next activity. Who knew drawing on the back patio would be so different from drawing on the driveway? 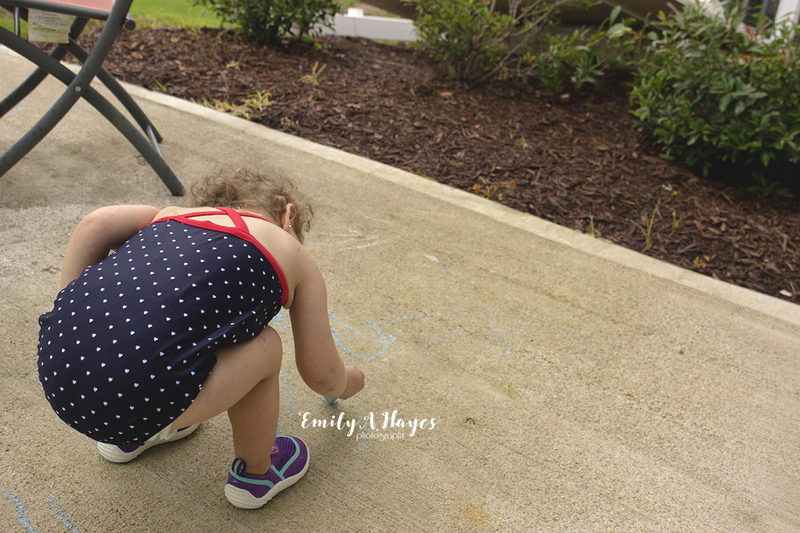 She was covering the patio with toddler scribbles and “the alphabet.” A family lunch out and a trip to the fireworks tent rounded out the day with some crackles and pops. Dad to the rescue ready to light our fireworks off! Share you favorite 4th of July memory in the comments below! Hanging out in #durham can get a little silly.